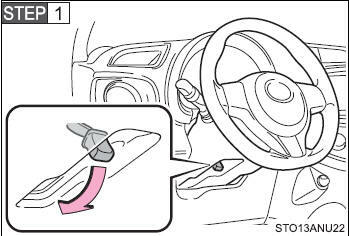 Adjust to the ideal position by moving the steering wheel. Do not adjust the steering wheel while driving. Doing so may cause the driver to mishandle the vehicle and cause an accident, resulting in death or serious injury. Make sure that the steering wheel is securely locked. 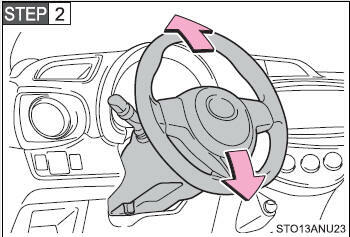 Otherwise, the steering wheel may move suddenly, possibly causing an accident, and resulting in death or serious injury.